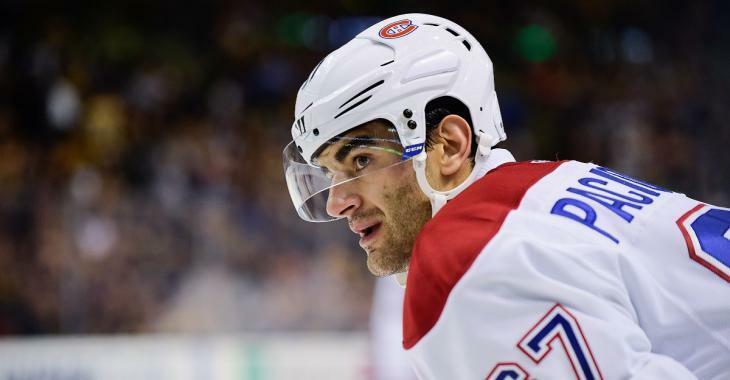 Is Max Pacioretty's time with the Montreal Canadiens over? Many people believe this may be a good time for the Habs to rebuild, considering the team will most likely miss the playoffs as they are currently ranked 28th in the the NHL. General manager Marc Bergevin is reportedly hoping to trade the 29-year-old captain at the trade deadline, and it looks like he is asking for A LOT. Sportsnet insider Nick Kypreos mentioned exactly what Bergevin expects to get in return of Pacioretty, who scored at least 30 goals each season for the past four years. Even though Max Pacioretty wasn't able to score a single goal during the month of December, he scored eight in his last 11 games. He has a total of 16 goals and just as many assists for 32 points in 52 games this season. Do you believe he's really worth that much?